I’m quite a mover – careerwise. Earlier in my career, I won’t stay for more than a year and a half in a company. In 9 years, 5 companies. Quite a lot huh? However, my last move (from 4th company to the 5th) was a shocker. From a job that faces guests and staff, meets with department heads, organizes events etc., I moved to a job that felt like being confined in a nunnery. From seeing 200 staff plus hundreds of guests daily to being in an office with three people was traumatic. It was disturbing to just speak to two people the whole day or to a conference phone that produces voices of people that I only know by name and by voice when I was so used to being in a lively environment, meeting people face to face. 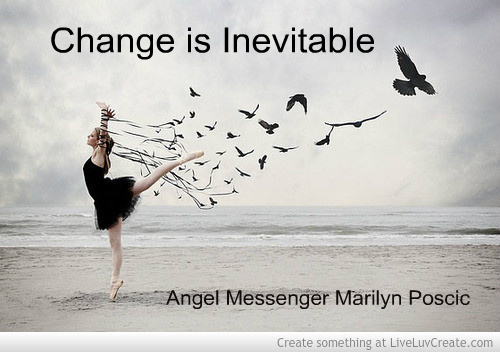 But then change is inevitable. We move on and embrace changes. It could be emotional or traumatic at first but we all adjust to our environment. We need it in order to progress in life. And now that I am so used to the nunnery environment as I have been like this for about two years and a half, I look forward to how is it going to be the next time that I move. Level up din kapag may time. At uhmmm, anti-social? Ang toroy! My new job is getting exciting too. From leading people, to being led. For the first time I feel that my talents are useful for something. 😊 Hope things work out over there! Good thing you can stay for more than a year and half. Well, in my case after gradating from University two and a half years ago, I already worked in three companies (I guess I’m still adjusting and searching for what I love to do most). But I’m loving my current job because I just work at home, the pay is very generous and I can work on my own pace! Whatever your job is, its awesome. I always dreamt of just working at home huhu. Anyway, moving on from one company to another is ok, I guess, while you are young. Yeah its okay while I’m ‘still’ young (totally correct!). Well, working at home has perks and loss. If you work at home, you’re just alone. All your friends are virtual.